Yesterday the High Court ruled that the UK Government’s subject content on GCSE Religious Studies in English schools is unlawful. The ruling was as a result of a case brought by three humanist families, with support of the British Humanist Association (BHA). It reflects the views of 90% of respondents to the earlier consultation on the subject content, as well as the Religious Education Council and a wide range of RE academics, consultants, advisors, professors of philosophy and religious leaders. And the other is the countervailing narrative that the GCSE subject content needs to be rewritten and that this will be massively disruptive for exam boards, teachers, and students. The problem with both of these narratives is that they are all about the GCSE, when the case wasn’t really all about the GCSE at all. It was about the rest of RE as a whole. Let me explain. Where the GCSE comes into it is that most routes through the GCSE content are not inclusive of non-religious worldviews, due to the decision of the Government to prioritise religions over non-religious worldviews in the content (because, in its words, ‘as these are qualifications in Religious Studies, it is right that the content primarily focuses on developing students’ understanding of different religious beliefs’). The consequence is that if a school just teaches the GCSE as the entirety of its key stage 4 RE (as is quite common), and in so doing it doesn’t major on those few bits of the GCSE content that are inclusive of non-religious worldviews, then it has failed in its RE obligation to be pluralistic in what it has taught. But paragraph 2 ‘permits’, indeed ‘encourages’, in the judge’s words, schools and others to believe that just teaching the GCSE, even when not including any detailed non-religious content, is sufficient to meet schools’ RE teaching obligations as a whole at key stage 4. This is why paragraph 2 is ‘a false and misleading statement of law, which encourages others to act unlawfully’. The DfE now needs to rectify this (e.g. by amending paragraph 2, or otherwise making the situation clear such as through supplementary guidance). And so we come back to why the DfE’s press statement is misleading – the DfE is guilty of a sin of omission. Yes, strictly speaking it is right that the content of the GCSE does not have to change (other than in the way I’ve just explained). But if your school is not a religious school, and it does not currently teach non-religious worldviews on an equal footing to the major religions, then the rest of your curriculum now needs to change. And this is a much more significant consequence than any changes to the GCSE might be. This is a change for the better: all the usual contemporary justifications for teaching about religions in the school curriculum – the contribution of such teaching to our cultural and historical knowledge, and its contribution to building mutual understanding and hence community cohesion – logically also apply to teaching about non-religious worldviews as well. The British Humanist Association, for its part, is very much looking forward to working with schools, SACREs and agreed syllabus conferences to improve the inclusivity of RE in this area, for example through http://www.humanismforschools.org.uk/, our school volunteers programme, and in partnership with the 150 humanists who are members of SACREs across England and Wales. For more information, the BHA has produced a fuller briefing clarifying what the decision said and its implications. 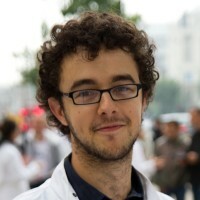 Richy Thompson is Director of Public Affairs and Policy at the British Humanist Association. He was previously the BHA's Campaigns Manager (2015-2017) and its Campaigns Officer on Faith Schools and Education (2011-2015). iii) We must therefore include non-religious studies in Religious Studies OR add extra lessons (exams?) in non-religious studies. Is there anything about organized religion that *isn’t* confusing and comical? FWIW when I was at school in the 70s, RE was Christianity only, so we’re advancing slowly.